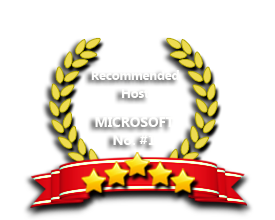 ASPHostPortal is the leading provider of Windows hosting and affordable ASP.NET MVC 5.2 . Our price starts from $4.49 per month. ASPHostPortal.com is proud to be one of the first ASP.NET Hosting providers to offer ASP.NET MVC 5.2 Hosting. ASP.NET MVC 5.2 is the latest update to Microsoft's popular MVC (Model-View-Controller) technology - an established web application framework. This package contains the runtime assemblies for ASP.NET MVC. ASP.NET MVC gives you a powerful, patterns-based way to build dynamic websites that enables a clean separation of concerns and that gives you full control over markup. Stop looking for MVC 5.2 Hosting. ASPHostPortal.com has supported the latest ASP.NET MVC 5.2 on our hosting environment. ASPHostPortal.com provides various editions of the important ASP.NET MVC frameworks, including basic ASP.NET MVC, ASP.NET MVC 2, ASP.NET MVC 3, ASP.NET MVC 4, ASP.NET MVC 5, ASP.NET MVC 5.1 and the latest ASP.NET MVC 5.2. All of these frameworks enable customers to have a high level of flexibility and avoid compatible issue. We realise that your website is very important to your business and hence, we never ever forget to create a daily backup. Your database and website are backup every night into a permanent remote tape drive to ensure that they are always safe and secure. The backup is always ready and available anytime you need it. You can use features such as forms authentication, membership and roles, output and data caching, health monitoring, etc. Our Windows Cloud Hosting fully supports ASP.NET MVC 5.2 hosting. You are more than welcome to try our Free Windows Cloud Hosting before you decide to buy. You can get your Free Cloud Windows hosting account up and running within the next few minutes.